1comment 2019-04-15 11:54:15 source:Global Forex The second beauty energy comes! Gold priceMonday (April 15) fell to a one-week low, as China's data was better than expected, and the USFinancial reportStrong quarterly unveiling, alleviating worries about the global economic slowdown, and thus suppressinggoldAppeal. The price of gold fell to a one-week low on Monday (April 15), as the Chinese data was better than expected, and the strong US financial quarterly unveiled, alleviating the worries about the global economic slowdown, thus suppressing the attractiveness of gold. Quote data shows thatSpot goldThe latest price is trading at 1287Dollar/ Nearby, weakened for the third consecutive trading day, refreshing more than a week low. 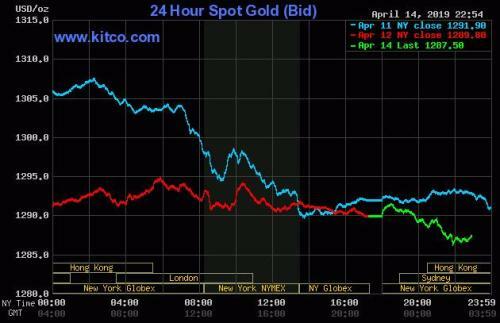 US gold futures fell about 0.2% to $1,292.20. Asian stock marketThe dollar started to strengthen on Monday, and the dollar fell as China's better-than-expected economic data boosted confidence around the health of the global economy and spurred risk appetite. Data released last Friday showed that China’s export unexpectedly increased by 14% in March, and the trade surplus in the first quarter expanded by over 70%. In addition, ChinaCentral bankData released on the weekend showed that at the end of March, China's broad money (M2) balance was 188.94 trillion yuan, an increase of 8.6%. 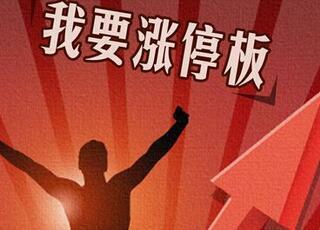 In March,RenminbiLoans increased by 1.69 trillion yuan, an increase of 577.7 billion yuan year-on-year. In terms of trade, US Treasury Secretary Steven Mnuchin was at the international level on Saturday.Monetary FundThe gap between the organization (IMF) and the World Bank's spring meeting told reporters that he and US trade representative Wright Heze will have two telephone conversations with Chinese Vice Premier Liu He in the following week. Officials from both sides are still discussing whether more face-to-face talks are needed to reach an agreement. “I think we have hopes to get close to the final round of negotiations to solve the problem,” said Mnuchin. Last week, spot gold experienced a period of violent shocks. First, it continued to rise for three consecutive trading days. However, it suddenly suffered a sharp sell-off on Thursday. It fell nearly 20 dollars overnight, and last Friday, as market risk sentiment warmed up, gold once again The pressure is weak. ICBC(Quotes601398,Medical stockStandard Bank pointed out in the report that the short-term still maintains a neutral view on gold, and it is expected that the price of gold will continue to maintain a range volatility. In essence, this also reflects the relatively neutral view of the dollar. It is worth mentioning that although the price of gold has weakened in recent trading days, there are still many factors in the fundamentals. India’s physical gold demand was strong last week due to retail buyers andJewelryThe opportunity to reduce domestic prices has been to reserve gold for the wedding season. The rise in the renminbi has made China a high premium and demand is stable. Position, the United StatesCommodity futureThe Trading Commission (CFTC) said on Friday that as of the week of April 9,Hedge FundAnd asset management companies increase their holdings of COMEX gold andsilverMultiple positions. 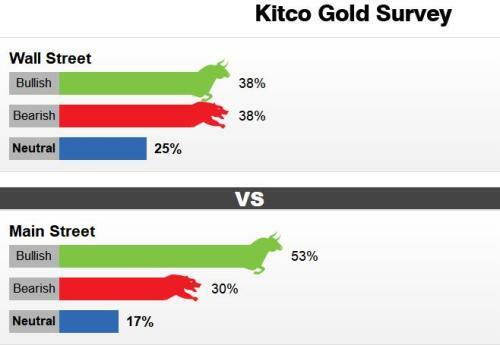 According to Kitco’s weekly gold survey released on Friday, this week’sGold trendIn the survey, Wall Street has long and short differences, but ordinary investors are still optimistic about gold. In the survey of Wall Street professionals, 16 people participated in the survey, 6 or 38% said that gold will rise this week, 6 or 38% think that gold will be consolidating this week, 4 or 25% think Will fall. Market participants include gold traders, investment banks, futures traders and technical analysts. In the survey of ordinary investors, 568 people participated in the survey, 299 people, or 53% think that gold will rise this week; 170 people or 30% think that gold will fall this week, 99 or 17% think Gold will be consolidating. At the same time, Colin Cieszynski, chief market strategist at SI Wealth Management, said, “I am pessimistic about gold in the coming week. Technically, gold is on a downward trend. With the easing of political risks and market volatility and positive economic As earnings news emerges, gold and other defensive stocks may fall out of favor in the short term." Kevin Grady, president of Phoenix Futures and Options, remains neutral. He said, “We failed to rise to the 50-day moving average of $1314.70 last week. Gold is struggling to maintain any rebound. At this point, I don’t see which event will make the gold price higher than the main resistance of $1,350. Our initial support is $1,285 per ounce. Although my current view is neutral, I am a seller above $1,305." Looking forward to this week, there are many important global economic data this week, including China's first quarter GDP, US “terrorist data” retail sales, European and American manufacturing PMI andindustryProduction data, the Fed's Beige Book, etc. are worth paying attention to. Of course, the trade-level perspective is even more important. According to the schedule, the US and Japan will start the first round of trade negotiations this week. US Trade Representative Wright Heze and Japanese Economic Minister Mao Mumin will start a two-day meeting in Washington from today. At the same time, trade disputes between the United States and Europe have become more and more hot. According to foreign media reports, the EU is preparing to impose tariffs on US$12 billion worth of US goods, and increase the plan for the Trump administration to punish EU subsidies for Boeing competitors. The customer's counterattack. Hot reading refreshed more than a week low! The price of gold this week is unfavorable. The Fed’s independence is frequently threatened. This time, even Draghi can’t stand it! According to Bloomberg News, as the Fed’s independence is frequently threatened by US President Trump, this timeEuropean Central BankPresident Draghi couldn’t stand it anymore! Draghi told reporters at the International Monetary Fund (IMF) spring meeting in Washington on Saturday that he "really worried about the independence of the central bank," especially "the most important jurisdiction in the world." US President Trump said on Sunday that the actions taken by the Federal Reserve (FED) have already slashed US economic growth and stock market growth by about 30%. The Fed should start to inject capital into the economy as it did during the 2007-2009 recession. According to the schedule, the US and Japan will start the first round of trade negotiations this week. US Trade Representative Wright Heze and Japanese Economic Minister Mao Mumin will start a two-day meeting in Washington from today. At the same time, trade disputes between the United States and Europe have become more and more hot. According to foreign media reports, the EU is preparing to impose tariffs on US$12 billion worth of US goods, and increase the plan for the Trump administration to punish EU subsidies for Boeing competitors. The customer's counterattack. In addition, Sino-US trade negotiations seem to be coming to an end. US Treasury Secretary Nuchin said last weekend that Sino-US trade negotiations are expected to be close to the "last round"! Gold is long and short of stalemate! A tug of war between the stock market and the precious metals started? 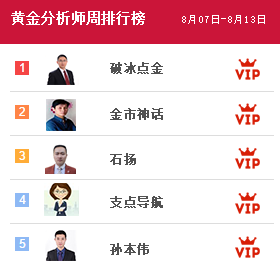 Financial manager incarnates analysts to launch "long and short battles"